Dantong Yu received a BS degree in computer science from Peking University and a Ph.D. degree in Computer Science from University at Buffalo. 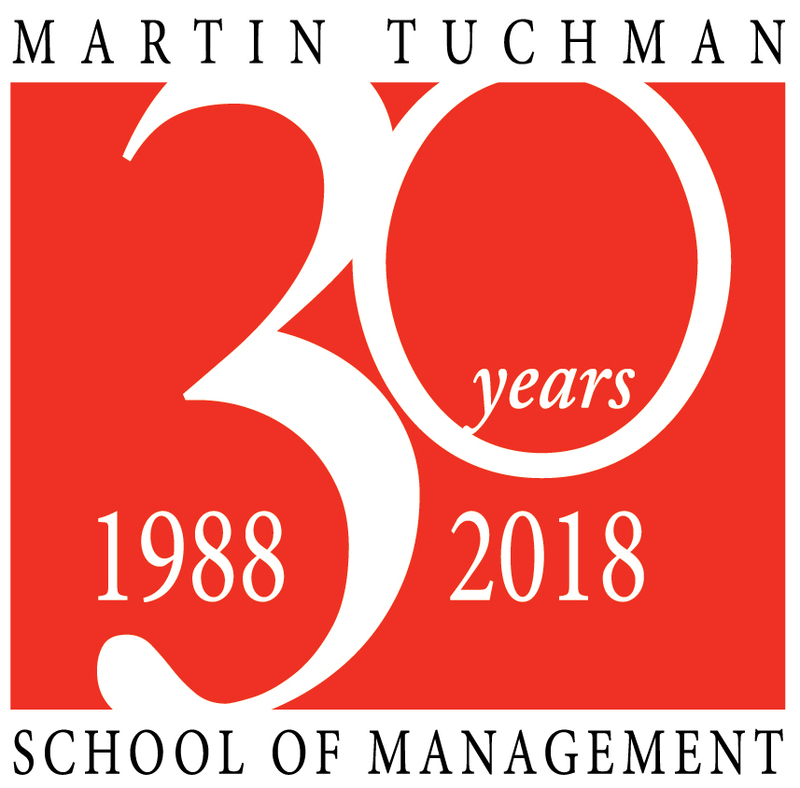 He joined Martin Tuchman School of Management at New Jersey Institute of Technology in 2016. He also holds guest appointment in the Department of Computer Science and Mathematics at BNL. He founded and led the Computer Science Group in BNL between 2009 and 2016. His research interests include data mining, machine learning, data network and storage. He has published 70 papers in leading technical journals and conferences. He has served on the review panels for NSF, DOE Early Career Investigator and DOE SBIR/STTR. He is the PC member of ICDE, ICCCN, HiPC, and ICPADS. Data science applications in business intelligence, health care, medical imaging, bioinformatics, renewable energy, environmental science, business analytics in financial bubble analysis (quantitative factors and features for bubble identification and stage prediction), market trend prediction, and investment decision support. T. Li, Y. Ren, D. Yu (Corresponding Author), S. Jin, RAMSYS: Resource-Aware Asynchronous Data Replication with Multicore SYStems, Accepted by IEEE Transactions on Parallel and Distributed Systems. Z. Peng, D. Yu (Corresponding Author), D. Huang, et al., A Hybrid Approach to Estimate the Complex Motions of Clouds in Sky Images, Solar Energy, Volumne 138, November 2016. Huang, H.; Yoo, S.; Yu, D.; Qin, H., Diverse Power Iteration Embeddings: Theory and Practice, IEEE Transactions on Knowledge and Data Engineering (TKDE), Volume 9, 2016. S. Yao, S. Yoo, D. Yu (Correspondence Author), Prior Knowledge Driven Granger Causality Analysis on Gene Regulatory Network Discovery, http://www.biomedcentral.com/1471-2105/16/273 BMC Bioinformatics Journal,2015. Z. Peng, D. Yu (Corresponding Author), D. Huang, et al., 3D Cloud Detecting and Tracking System for Solar Forecast Using Multiple Sky Imagers, Solar Energy (2015). Y. Ren, T. Li, D. Yu, S. Jin, T. Robertazzi, Design, Implementation, and Evaluation of a NUMA-Aware Cache for iSCSI Storage Servers, IEEE Transactions on Parallel and Distributed Systems (TPDS), vol. 26, no. 2, pp. 413-422, Feb. 2015. H. Huang, S. Yoo, Dantong Yu and H. Qin, “Density-Aware Clustering based on Aggregated Heat Kernel and Its Transformation”, ACM Trans. on Knowledge Discovery from Data, 2015 (TKDD). Qishi Wu, Xiangyu Lin, Dantong Yu, Wei Xu, and Li Li, End-to-end Delay Minimization for Scientific Workflows in Clouds under Budget Constraint, IEEE Transactions on Cloud Computing, Special Issue on Autonomic Provisioning of Big Data Applications on Clouds, Volume 3, 2015. H. Huang, S. Yoo, H. Qin, and D. Yu, Physics-based Anomaly Detection Defined on Manifold Space, ACM Transactions on Knowledge Discovery from Data, 2014 (TKDD), Volume 9, Issue 2, 2014. Y. Ren, T. Li, D. Yu, S. Jin, T.G. Robertazzi, Design and Testbed Evaluation of RDMA based Middleware for High-performance Data Transfer Applications, Journal of Systems and Software, 2013. X. Liu, C. Qiao, D. Yu and T. Jiang, "Application-Specific Resource Provisioning for Wide-Area Distributed Computing", IEEE Networks, SI on "Future Internet: New Applications and Emerging Services", Volume 24, February, 2010. M.A. Moges, D. Yu, T.G. Robertazzi, “Grid scheduling divisible loads from two sources”, Computers and Mathematics with Applications, 1081-1092, 58, 2009. D. Yu and A. Zhang, “ClusterTree: Integration of Cluster Representation and Nearest Neighbor Search for Large Datasets with High Dimensionality”, IEEE Transactions on Knowledge and Data Engineering (TKDE), Volume 15, Number 5, September 2003. J. Xu, S. Yoo, D. Yu, H. Huang, D. Huang, J. Heiser, and P. Kalb, "A Stochastic Framework for Solar Irradiance Forecasting Using Condition Random Field, to Appear in Advances in Knowledge Discovery and Data Mining, Volume 9077 of the series Lecture Notes in Computer Science, pp 511-524. Li, T., Ren. Y., Yu, D., Jin, S., “Resources-conscious Asynchronous High-speed Data Transfer in Multicore Systems: Design, Optimizations, and Evaluation”, the 29th IEEE International Parallel & Distributed Processing Symposium (IPDPS 2015, acceptance rate: 21.8%). Chang, C., Yao, S., and Yu, D., "Vectorized Big Integer Operations for Cryptosystems on the Intel MIC Architecture," IEEE 22nd International Conf. in High Performance Computing (HiPC), 2015. C., Chang; S. Yao, D. Yu, “sRSA: High Speed RSA on the Intel MIC Architecture,” The 21st IEEE International Conference on Parallel and Distributed Systems (ICPADS),2015. S. Yao, C. Chang, W. Xu, N. Zhou, Y. K. Chen-Wiegart, J. Wang, Jun Wang, and D. Yu, "NNLSF: A Fast and Informative Fitting Method for XANES Chemical Mapping Analysis", Accepted by the International Symposium on Biomedical Imaging (ISBI'15), April, 2015. J. Xu, S. Yoo, D. Yu, H. Huang, D. Huang, J. Heiser, and P. Kalb, "A Stochastic Framework for Solar Irradiance Forecasting Using Condition Random Field", Accepted by the Pacific-Asia Conference on Knowledge Discovery and Data Mining (PAKDD). J. Xu, S. Yoo, D. Yu, D. Huang, J. Heiser, P. Kalb, Solar Irradiance Forecasting using Multi-layer Cloud Tracking and Numerical Weather Prediction, Accepted by the 29th Symposium On Applied Computing (SAC'15), Salamanca, Spain. S. Han, H. Hao, H. Qin, D. Yu, Locality-Preserving L1-Graph and Its Application in Clustering, Accepted by the 29th Symposium On Applied Computing (SAC'15), Salamanca, Spain. Shi, L., Sharma, S., Katramatos, D., and Yu, D., “Optimizing Circuit Allocation for Bandwidth Reservations in Dynamic Virtual Circuit Networks”, 2015 International Conference on Computing, Networking and Communications (ICNC), February/2015. Shi, L., Sharma, S., Katramatos, D., and Yu, D., “Scheduling End-to-End Flexible Resource Reservation Requests for Multiple End Sites”, 2015 International Conference on Computing, Networking and Communications (ICNC), February/2015 (acceptance rate: unknown). Shi, L., Sharma, S., Katramatos, D., and Yu, D., “Virtual Data Center Allocation with Dynamic Clustering in Clouds”, 33rd IEEE International Performance Computing and Communications Conference (IPCCC 2014), December 2014. Huang, H., Yoo, S., Yu, D., and Qin, H., “Noise-Resistant Unsupervised Feature Selection via Multi-Perspective Correlations”, regular paper, IEEE International Conference on Data Mining (ICDM), December 2014 (acceptance rate: 9.7%). Huang, H., Yoo, S., Yu, D., and Qin, H., “Diverse Power Iteration Embeddings and Its Applications”, regular paper, IEEE International Conference on Data Mining (ICDM), 2014 (acceptance rate: 9.7%). Han, S., Qin, H., Yu, D, “An Improved Ratio-Based (IRB) Batch Effect Removal Algorithm for Cancer Data in a Co-analysis Framework”, IEEE 14th International Conference on BioInformatics and BioEngineering (BIBE), November 10-12, 2014, Boca Raton, USA (Best Student Paper Award). Z. Peng, S. Yoo, Dantong Yu, D. Huang, P. Kalb, and J. Heiser, 3D Cloud Detection and Tracking for Solar Forecast using Multiple Sky Imagers, the 29th Symposium On Applied Computing (SAC'14) March 24-28, 2014, Gyeongju, Korea. H. Huang, S. Yoo, Dantong Yu, et al., Diffusion-based Clustering Analysis of Coherent X-ray Scattering Patterns of Self-assembled Nanoparticles, the 29th Symposium On Applied Computing (SAC'14) March 24-28, 2014, Gyeongju, Korea. Cheng Chang, Wei Xu, Yu-chen Karen Chen-Wiegart, Jun Wang and Dantong Yu, Accelerating Chemical Mapping in Full-field Hard X-ray Spectroscopic Imaging on Multi-core Cluster, SPIE Visualization and Data Analysis 2014. Y. Ren, T. Li, D. Yu, S. Jin, T.G. Robertazzi, Design and Performance Evaluation of NUMA-aware RDMA-based End-to-end Data Transfer Systems, accepted by ACM/IEEE Super Computing 2013, November/2013, Denver, CO. (acceptance rate: 20%). T. Li, Y. Ren, D. Yu, S. Jin, T.G. Robertazzi, “Characterization of Input/Output Bandwidth Performance Models in NUMA Architecture for Data Intensive Applications”, accepted by International Conference on Parallel Processing (ICPP 2013), Lyon, France. Z. Peng, S. Yoo, D. Yu, and D. Huang, Solar Irradiance Forecast System Based on Geostationary Satellite, IEEE International Conference on Smart Grid Communications, Oct/2013, Vancouver, Canada. H. Huang, J. Xu, Z. Peng, S. Yoo, D. Yu, D. Huang, H. Qin, Cloud Motion Estimation for Short Term Solar Irradiation Prediction, IEEE International Conference on Smart Grid Communications, Oct/2013, Vancouver, Canada. Y. Ren, T. Li, D. Yu, S. Jin, T.G. Robertazzi, B. Tierney, E. Pouyoul: Protocols for wide-area data-intensive applications: design and performance issues. ACM/IEEE SuperComputing 2012. H. Huang, H. Qin, S. Yoo, D. Yu: Local anomaly descriptor: a robust unsupervised algorithm for anomaly detection based on diffusion space. 21st ACM International Conference on Information and Knowledge Management (CIKM 2012). Hao Huang, Hong Qin, Shinjae Yoo, Dantong Yu: A New Anomaly Detection Algorithm Based on Quantum Mechanics, short paper, International Conference on Data Mining (ICDM), 2012. S. Sharma, D. Katramatos, D. Yu, L. Shi: Design and implementation of an intelligent end-to-end network QoS system. ACM/IEEE Supercomputing 2012. Huang, H., Yoo, S., Qin, H., and Yu, D., A Robust Clustering Algorithm Based on Aggregated Heat Kernel Mapping, IEEE International Conference on Data Mining (ICDM), Vancouver, Canada, December 2011. Sushant Sharm, Dimitrios Katramatos, and Dantong Yu, End-to-End Network QoS via Scheduling of Flexible Resource Reservation Requests, SuperComputing 2011. Yi Gu, Qishi Wu, Xin Liu, Dantong Yu: Improving Throughput and Reliability of Distributed Scientific Workflows for Streaming Data Processing, HPCC 2011.